Guess what product all Essie manicurists have been using to prep models nails during New York Fashion Week? Right! Essie Ridge Filling base coat. Why? 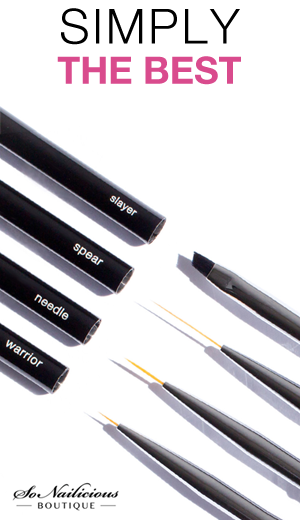 Because it instantly makes nails look healthier, fills ridges and results in a perfectly even finish. This base coat is our personal favorite too. While we do look after our nails pretty well, they are still far from perfect after endless polish trials. Sometimes that can cost your nails a perfect even surface by leaving micro scratches on your nails. That in turn, complicates nail polish application as not all base coats are capable of evening out the nail surface and you don’t want to buff your nails too often either. 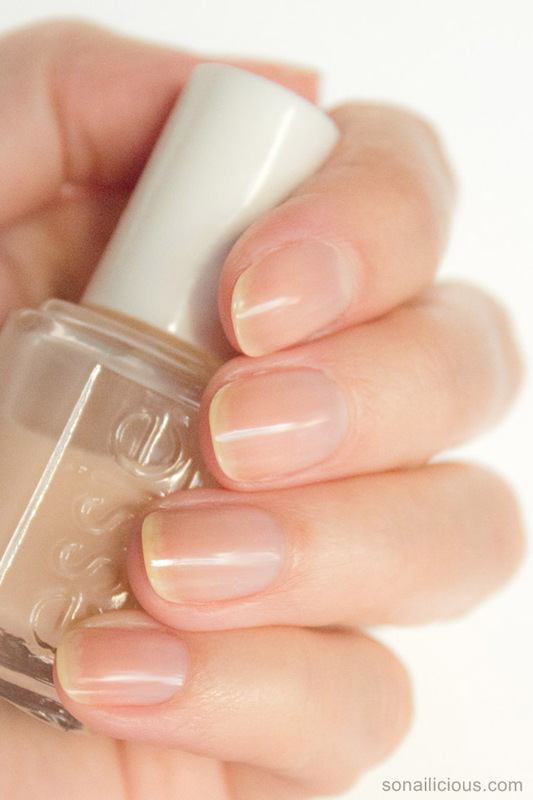 SO here it is – Essie Ridge Filling base coat smooths out mild imperfections with just 1 coat. That’s exactly why we fell in love with it so quickly. 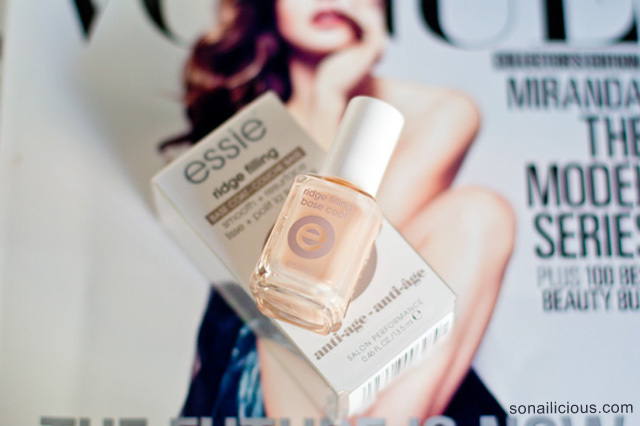 Essie Ridge Filling base coat – younger looking nails. Nails looks smoother and sculpted. Even base for colour application. 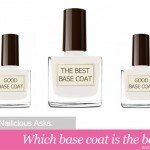 Apply 1 coat as a base for manicure. Easy to apply and quick to dry. In light latte shade with a very subtle, natural gloss finish. Essie Ridge Filling base coat is even suitable even for men. You wouldn’t tell a difference wither nails are coated with something or it’s your natal nails look so perfect. 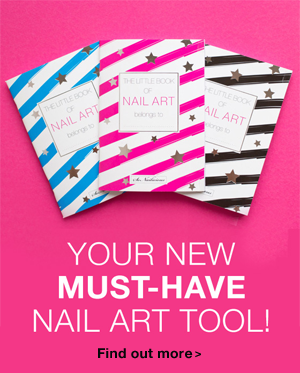 It works wonders as a base for manicure – makes it so easy to apply nail colour and ensures picture perfect, smooth surface. Check out our Before and After shots – They say it all! 3-Free formula, ie. it does not contain Dibutyl Phthalate (DBP), Formaldehyde, Toluene. Bit it does contain Formaldehyde Resin (it’s the third biggest ingredient in the formula), Nitrocellulose and Camphor. The inclusion of these chemicals explains why this product has such amazing sealing and surface smoothing qualities. 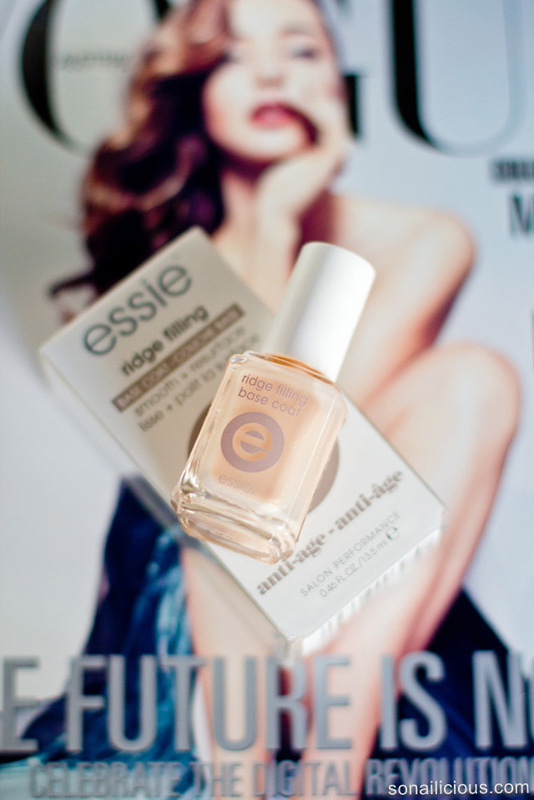 Extra Notes: Essie Ridge Filling base coat is fantastic for creating an even base for manicures. However, it contains Formaldehyde Resin (FR). This ingredient is partially responsible for the perfect sealing qualities of the product. FR is often used in paints and as a glue in the leather industry. You know that typical strong polish smell? Essie Ridge Filling base has some of that but it’s not overbearing. Don’t mistake Essie Ridge Filler for a nail strengthening product. If you have weak, peeling nails, we’d recommend you use Essie Ridge Filling base coat with a nail strengthener of your choice. 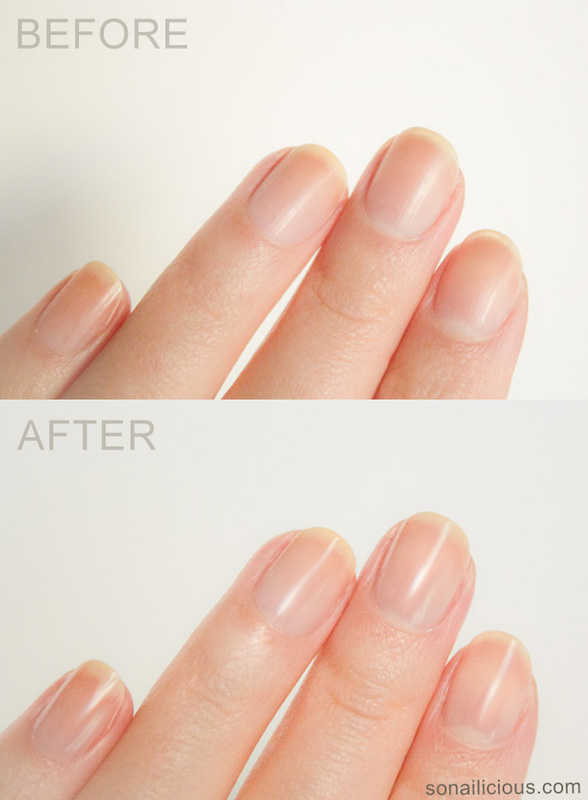 Wear a Ridge Filling base when you do your nails and on other (naked nails) days, wear a nail strengthener. Availability: US$8.00 – online here; in Australia – AUS$19.95 in Myer and Priceline. So, what are your thoughts about Essie Ridge Filling base coat? Have you tried this one before? Or, will you be investing in this one? Then stick around! Subscribe to SoNailicious Newsletter to get our weekly updates or follow us via Bloglovin for daily updates.